FAQ: Will Cell Phone Insurance Save You Money? Is cell phone insurance something you need or would you be losing money on it? It depends. One out of every three customers will lose or damage their phone within the first year, according to Sprint. In total, this amounts to approximately 60 million cell phones that are lost or damaged every year in the U.S. alone, according to Asurion. Asurion is the third-party insurance agency for most of the major wireless carriers (including AT&T, Sprint, T-Mobile and Verizon Wireless). While it depends on your unique situation, the short answer is you could often be spending more money on it than you’re saving.Cell phone insurance can be handy if your handset is stolen, lost or damaged. Many cell phone carriers do offer cell phone insurance for a low monthly fee. As with any other insurance policy, though, the name of the cell phone insurance game is whether you’ll spend more money insuring it than you’d save when filing a claim and getting a replacement unit. The information included here should apply no matter who made your Android phone: Samsung, Google, Huawei, Xiaomi, etc. The ultimate answer will depend on how soon you’d need a new phone. If you need a replacement device in only 3 months, for example, cell phone insurance will likely have saved you money. If you need it in 3 years, insurance will likely have cost you more money.As a general rule, it’s unlikely that cell phone insurance would save you money if you have a low-cost, budget cell phone. Cell phone insurance can be more valuable, though, with higher-priced phones (and especially smartphones). As an example, Sprint offers an equipment replacement program for $4 per month with a $50 to $100 non-refundable deductible (depending on the device) per approved claim.AT&T charges $4.99 per month with a $50 to $125 non-refundable deductible per approved claim. AT&T allows two claims per year with a maximum replaced value of $1,500 per claim.T-Mobile charges $5.99 per month with various non-refundable deductibles. Verizon Wireless charges $5.99 per month with a $39 deductible for basic phones or $7.99 per month with an $89 deductible for advanced devices. Say you buy a cell phone for $100 and insurance for $5 per month with a $50 deductible. You would only save money on a replacement if your claim is filed by the ninth month. At that point, you would have paid $95 in total ($45 for insurance and $50 for the deductible).If you buy a phone for $200 and insurance for $5 per month with a $75 deductible, you would save cash if you file before the two-year mark. By then, you will have paid $195 in total ($120 for insurance and $75 for the deductible). If you’re under contract at your carrier, it might be prudent to avoid insurance and hold out until you have an upgrade eligible. After 12 or 24 months, for example, many carriers offer $100 to $200 off when you restart your contract date and buy a new phone. If you’re not under contract, this consideration likely won’t be a factor for you. Prepaid wireless carriers typically do not offer discounts for buying a new handset. Without signing a contract, cell phones are usually more expensive. Because signing a contract often subsidizes the price of your phone, another general rule about insurance is it’ll more likely save you money when you’re not under contract. Another option is to make your own cell phone insurance program (call it your self-insurance program) instead of paying another company for it. Just put $5 aside every month, for example, in a high-interest savings or money market account. 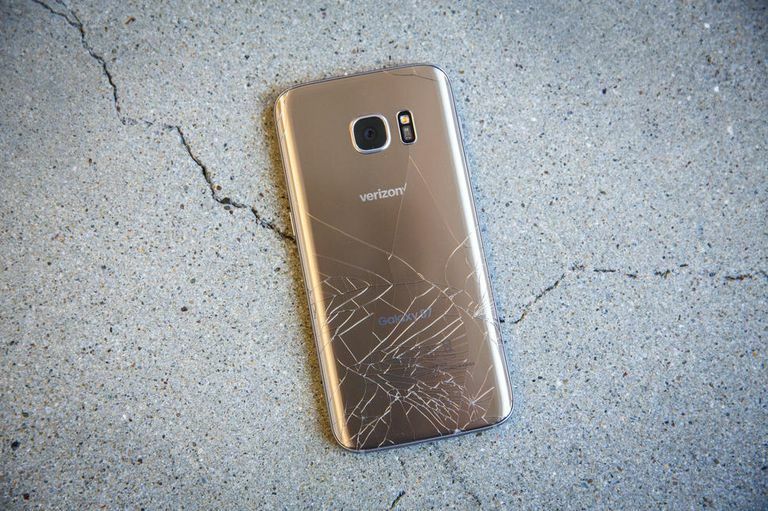 If your phone goes kaput, you’ve already set aside money for a replacement without having to worry about making a claim or paying a deductible. Maybe it's time to take a look at your cell phone plan. Unsure of where to start? We've got information that can help you save money on your current plan.